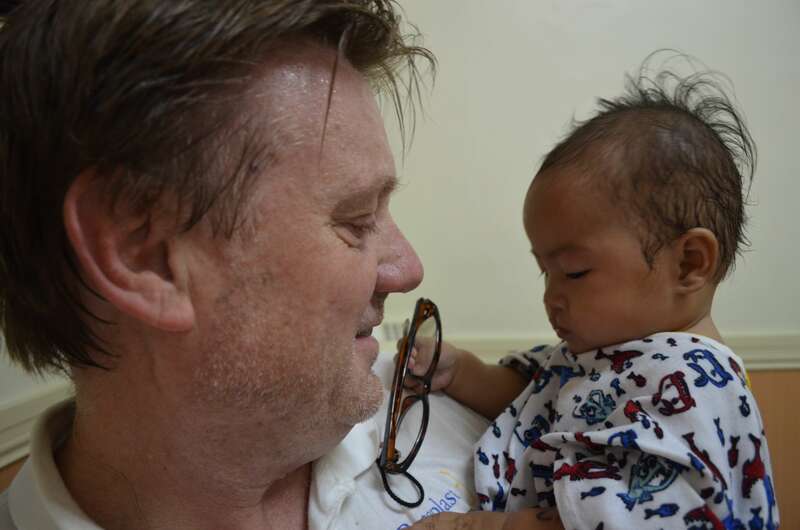 This morning began at the hospital with a trip to the 5th floor gymnasium that was transformed over night into the pre-op and post-op wards by hospital staff and volunteers. Hospital staff processed all patients last night and got them ready for today. 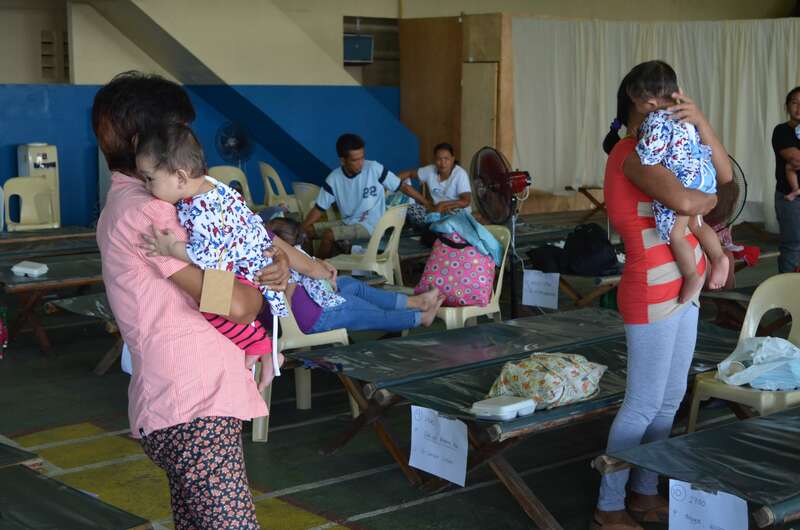 When we arrived, families were settled on cots with name tags and bed identification place cards in order of the surgery schedule making our job of finding and identifying patients a breeze. Already waiting on the surgical floor was 8 month old Zakiah. Understandably she was hungry, thirsty and showed us just how upset she was while her mother Michelle held her trying to console Zakiah. Bob Arsenault, our team’s recreational therapist worked his own style of magic with Zakiah and in an instant had her calm and distracted. Zakiah is one of our first patients of the day. She and her mother traveled 6 hours to get to the hospital. 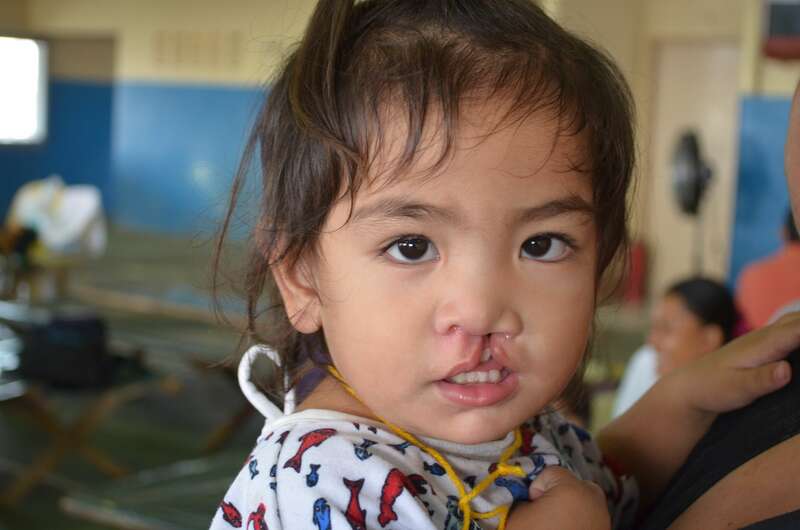 Michelle left Zakiah’s twin brother and 3 year old sister with family to make the trip to Cebu City. 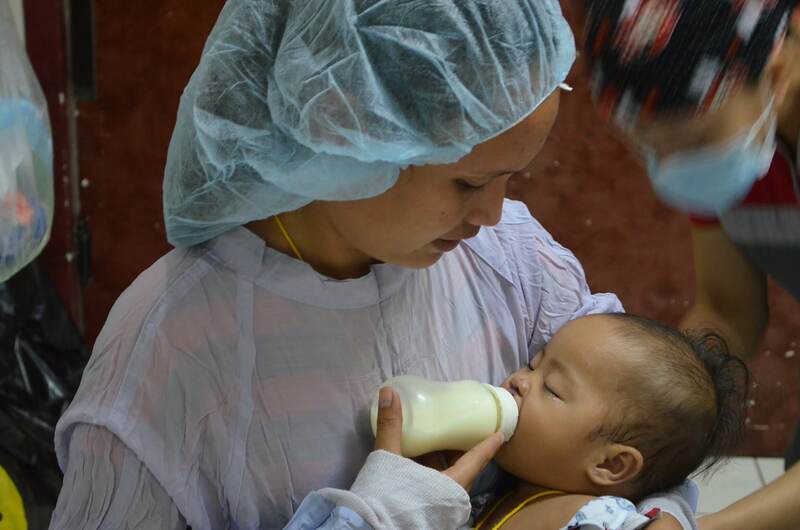 An hour and a half later, Zahiah’s cleft lip was repaired and she was comfortably feeding in the arms of her mother. We are running three operating tables. two in one room and one in a separate room. 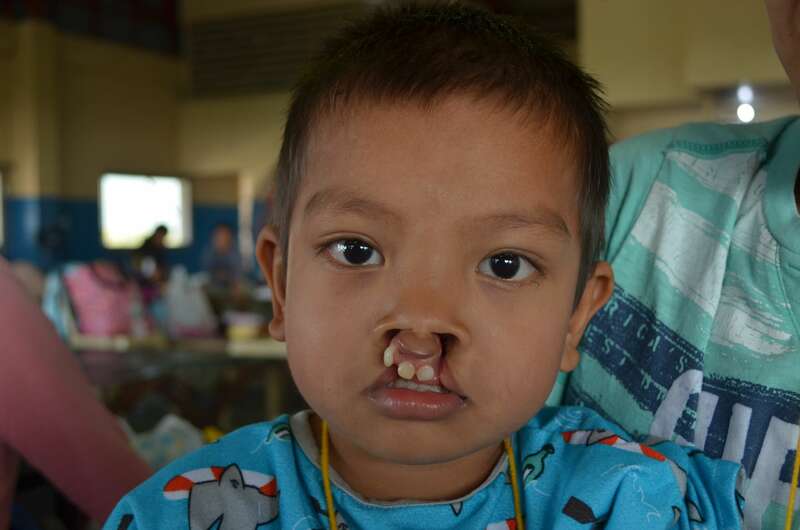 John, 5 years old was another of our first patients. 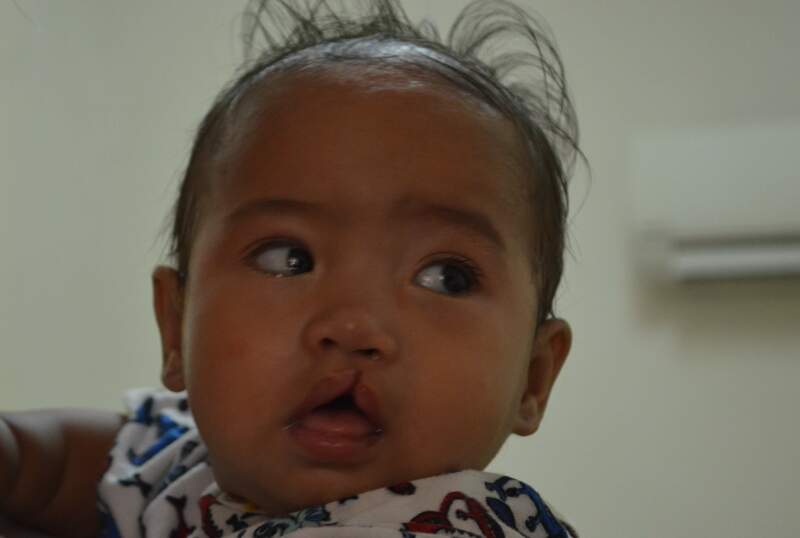 His bilateral cleft lip was repaired this morning. 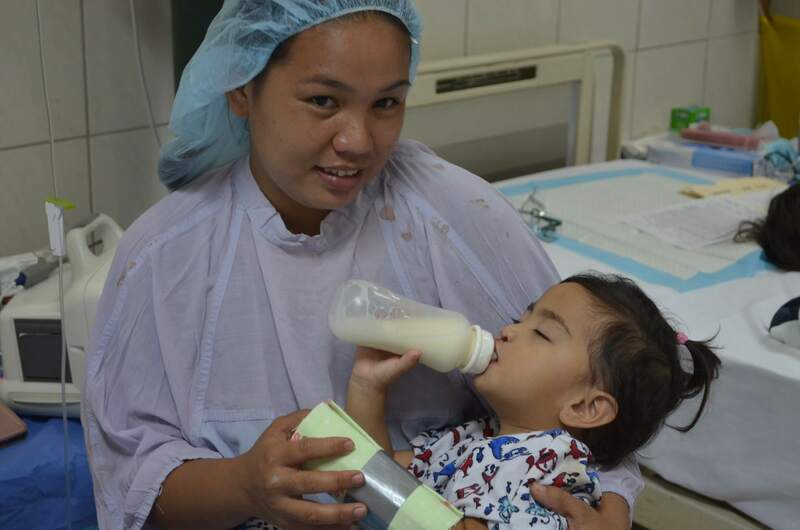 Below his mother offers him some milk and comforts him as he awakes in the recovery room. 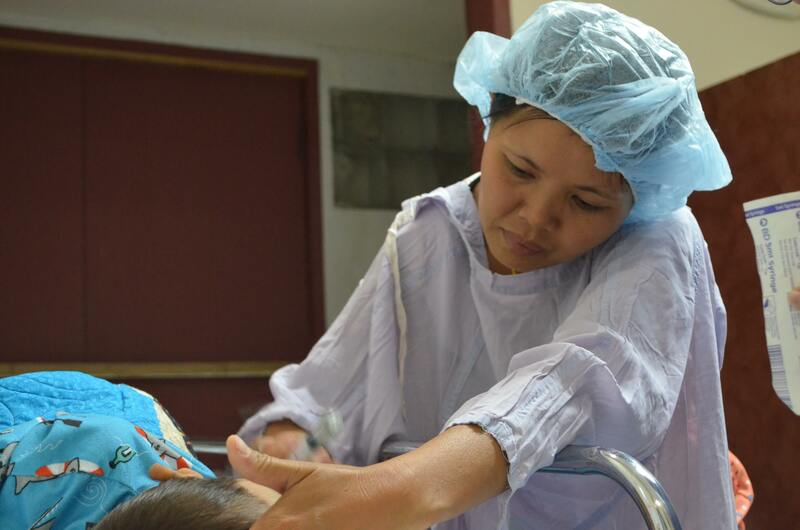 The surgery schedule today consisted of mostly children with cleft lips . One year old Sheenie received her operation to correct her lip around mid afternoon. Her mother was overjoyed to see the result.